I was born in São Paulo (Brazil) in 1978 and raised in a stimulating and free spirited environment. Versed in four languages I preferred to experience the world in first person, rather than in the classroom. From my first trip to the mountainous regions of Peru, Bolivia, and Chile at aged 16 planted the seeds of desire to see and experiences the many wonders of this world. Shortly thereafter I went on to live on a boat with my father along the wondrous Amazon River for a year, followed by a rugby program abroad in Australia and New Zealand where I began to use my camera to document the life around me. Based in Rome, I’ve made a career as a photojournalist. As a child I used to race down the beaches of Brazil, waving my arms in circles as if they were propellers in an attempt to lift myself off the ground into flight. To fly was my dream. My paraglider is an extension of my body, like my own pair of wings, enabling me to soar amongst the beautiful and varied nature of our world, pushing boundaries with each new take off. 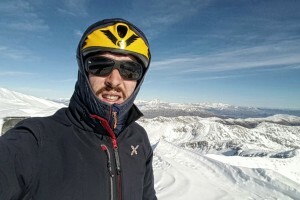 Andrea Kappa was born and raised in Castelluccio di Norcia, among the soaring mountains, above the flowering fields, so it is no wonder he is one of the top paragliding pilots in Italy. He has flown internationally in countries such as Brazil, Colombia, Peru, Chile, Mongolia, Spain, France, Austria, Switzerland, South Africa, Turkey, Morocco and Australia. He has participated in a variety of National and International competitions such as the South African Open and the Colombian Open as well as the Paragliding World Cup. In 1990, he was the official Italian pilot for Freax e Paratech and has since 1998, been president of the Pulcino club, from Central Italy in which cross-country flying was nurtured in the country. He is considered the pioneer of the major cross-country flights taking place across Central Italy today. Born in Rome (Italy) in 1972. As a child I was attracted to the snow-capped mountains, the clouds in the sky and the waves in the sea. I liked everything that moved through the air and when I first saw a seagull soaring across the sky without beating its wings, I dreamed of one day doing so myself. 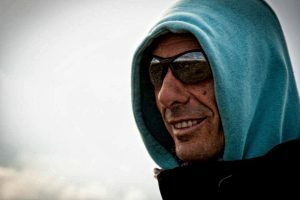 Following my passions I became a professional Ski and Sailing Instructor, Mountain Bike Guide, Stand Up Paddler, Surfer, Paragliding and Pilot. 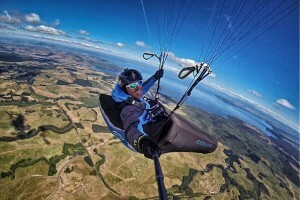 I also manage the Ozone Kite and Paragliding Company in Italy. I love to travel, my true home is the world and I am looking for an adventure that awaits me every day around the corner in each slice of the world. Nothing inspires me more than seeing people create the life they want. I hope to also give you the opportunity to know this beautiful world and travel with me. Dream-fly-UP! 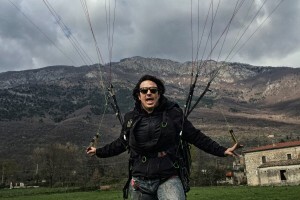 Born in Italy in 1990 to an Italian Father and British mother my love of climbing began at age 7 and with an experienced hang gliding father, flying is in my genes. As a UIAGM certified mountain guide I have completed 3 Himalayan Expeditions, climbed all major peaks in the Alps as well as opened a new route on Sirente’s North Face, which I nominated Tuareg, after the traditionally nomadic Berber people. I graduated in fine arts where I have pursued work as a “rigor,” placing sets and lighting in hard to reach places for theater companies. While I’m not guiding others I enjoy lone adventures where I have time to be in symbiosis with nature. We are brothers, born and raised in the Northeast of Brazil, outside of the city of Fortaleza. I (Rogério) began paragliding in 2004 as an apprentice, completing my first solo flight at aged 17 and shortly thereafter, mastering tandem flying, improving and deepening my skills each flight that was to come. 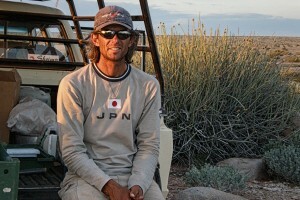 My brother (Raul) quickly followed and is now a record holder in the state of Tocantins. 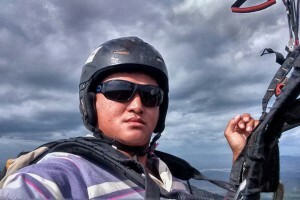 We are both advanced paragliding instructors, specializing in high winds and cross-country flying, based in the town of Tiangua, Ceará, which is situated on the stunning mountain range of Ibiapaba. We work frequently in Quixada, located in a stretch of dry backlands with jutting rock formations, which make for one of the most sought after paragliding take offs in the world. My personal best is 235km, while my brother, Raul has upstaged me at 322km. Born and bred in Swakopmund (Namibia) in 1971, I am of third generation German and Austrian roots and have specialized in tailor-made outback adventure tours in our stunning country for 21 years. I take adventure seekers to camp in the outback and track elephants, rhinos, lions and the array of wild animals we coexist with across the savannah. I have been paragliding and guiding paragliders across the dunes for the past 10 years, focusing on ground handling and dune soaring. We frequent Sandwich Harbour, which is a paraglider’s paradise. My touring has taken me across Southern Africa and it’s unique Altantic coastline where I have enjoyed surfing since I was a child. I recently worked on a short documentary about flying in our country, which you can see at Namibia: Frequent Flyers Project#3 – Paragliding in Namibia from Guillaume Broust. I’m looking forward to take you across our dunes, where each day is a new experience!